Toscanini Su Misura® is born, an exclusive project dedicated to all who appreciate the uniqueness of an object created by craftsmen and made to satisfy a special personal requirement. 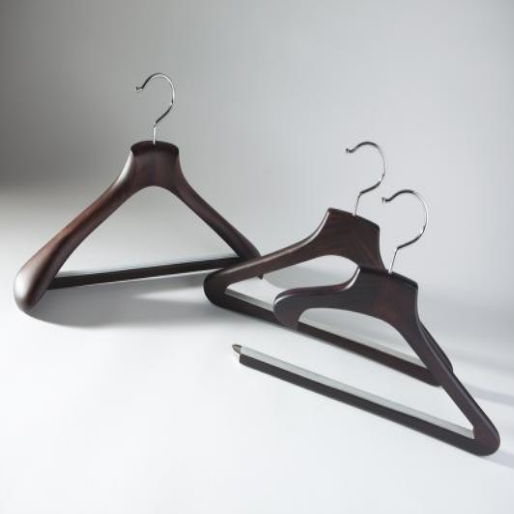 With the SuMisura project, Toscanini offers a brand new range of wooden clothes hangers made to the Client’s measurements, to guarantee a perfect support for your clothing and keep them in shape. Thanks to the correct size, Toscanini hangers prevent jackets, coats, trousers and shirts forming ugly creases or, even worse, becoming deformed. Today, every size, from Small to Xlarge, can find the ideal hanger.